Provide comfort for the family of PEGGY CROWNOVER with a meaningful gesture of sympathy. Peggy was called home on 12-16-2018 at Agrace Hospice Care after a long and courageous battle with cancer. She was born on 12-7-1959 in Paragould, Arkansas to Bill Dougherty and Beverly (Siebert) Dougherty. She grew up on the East side of Madison and graduated from East High. She worked at Walmart for many years and made numerous friends along the way!. Peggy loved to travel, play Yahtzee, spend time with her little dog Lucy and being involved in her church. 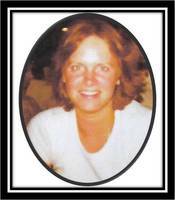 She is survived by her Wisconsin siblings Susan (Dougherty) Kelso (Mark), Johnna Garrett, Shelly (Dave) Koeberl, John (Tammy) Andruss, JoEllen (Jim) Baker, Jennifer Lucht and her Missouri siblings Sherry Seville, Pam Rickman, Brenda Dougherty and Mary Lou Kirkpatrick. She also leaves behind many nieces, nephews, cousins and great friends! We would like to give a special thanks to the staff at Agrace, Tom, Carol and Diane for all their loving care and support during Peggy’s journey. On January 12th at 11:00 a.m. we will celebrate Peggy’s life at Ridgeway Church with Pastor Bryan officiating. There will be a light luncheon to follow. We would like to thank Foster Funeral & Cremation services for all their assistance. To send flowers in memory of PEGGY S CROWNOVER, please visit our Heartfelt Sympathies Store. Provide comfort for the family of PEGGY S CROWNOVER by sending flowers.